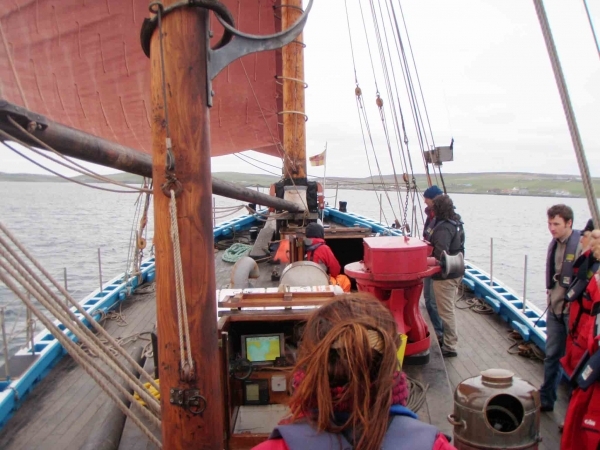 During the Tall Ships Races 2011 I was artist in residence onboard The Swan, a Shetland herring boat from 1900. The race started in Waterford, Ireland and arrived at Halmstad, Sweden five weeks later calling at Greenock, Scotland; Lerwick, Shetland; and Stavanger, Norway. 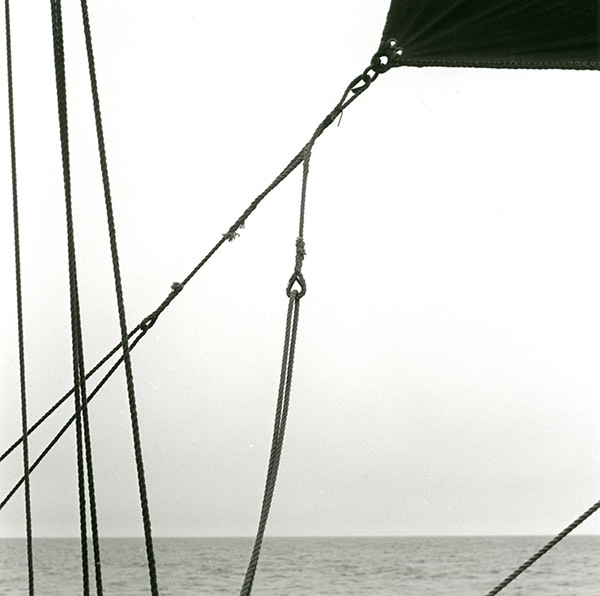 Having no idea what the Tall Ships Races were really about, this residency turned into an unexpected adventure, not just fulfilling artistic duties, but also learning to sailing, night watches, and cooking at an angle. 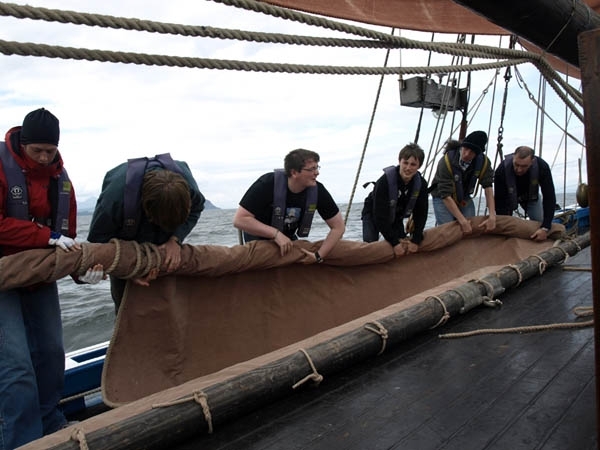 It was about sharing the boat with 8 teenagers and 5 crew who changed for each leg of the voyage. 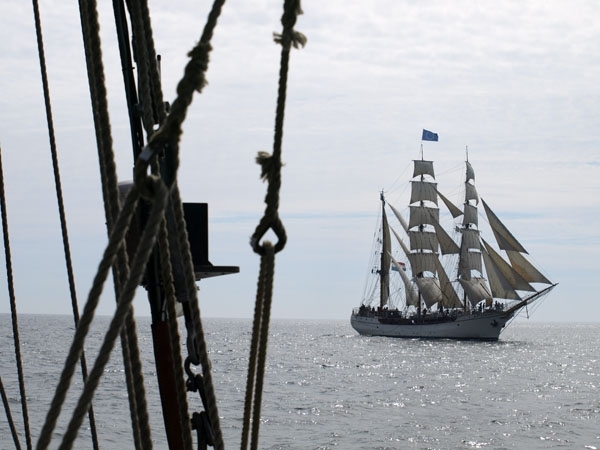 The Tall Ships Race is also about the celebrations in each of the host harbours, attracting over 2 million visitors in total and crew parades, music festivals, captians' dinners, food and craft stalls, crew changeovers and prize givings. There was never a dull moment. 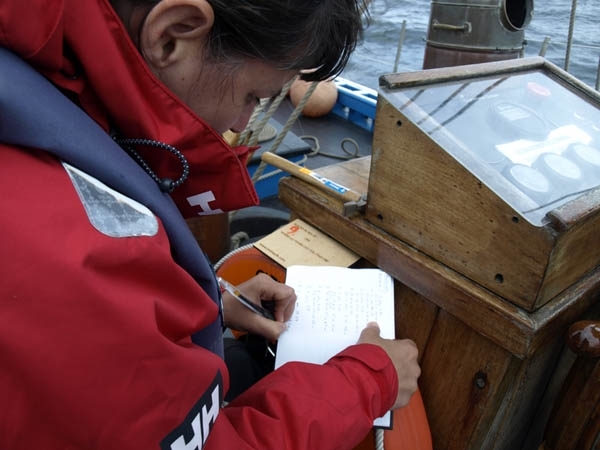 During the voyage two main projects were carried out; one took place in harbour visited, where dressed in blue polka dot dress and armed with ushers tray I collected 500 drawings of boats from the general public and crew from the participating ships. Between Waterford and Halmstad 43 SEA POSTCARDS were cast into the sea. 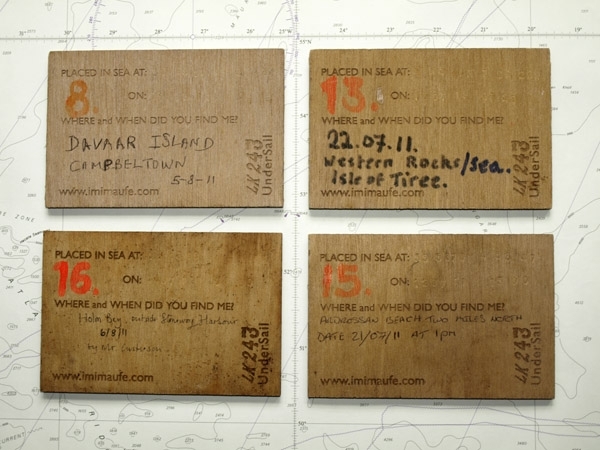 These laser-cut wooden postcards documented the place that they were released and had a return adresses on the back. So far 8 have been returned, none since March 2012. Part two of this residency was land based with two weeks at Taigh Chearsabhagh Arts Centre, North Uist and two with Shetland Arts Development Trust, Lerwick. 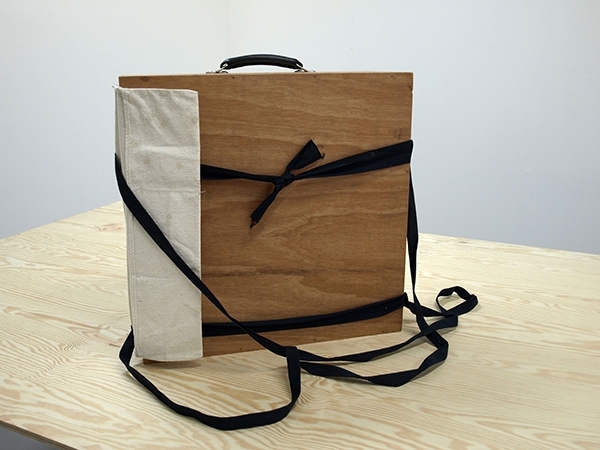 Time was used to plan work for an exhibition which was completed in 2012 back in Bergen. 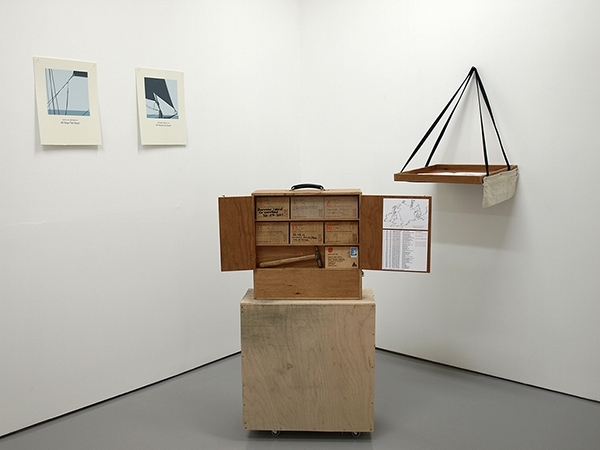 The voyage was captured through text and image and I used the box that was specially designed to fit at the end of my small bunk (200x80x60cm) to house the collection of artworks. 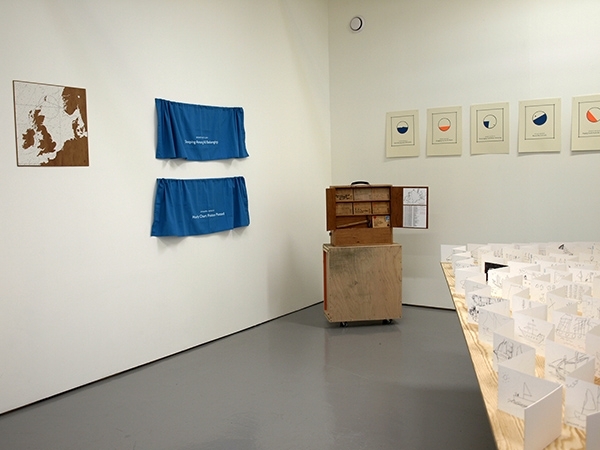 The 500 boat drawings were made into 25 concertina books, a short film plays on a tablet, bunk curtains, editioned artist's books, screen prints, the returned postcards and other objects can be taken out and viewed as a handling collection or displayed in a exhibition space. Creative Scotland with Calouste Gulbenkian Foundation and Scotland’s Islands. Saying yes! : my first experience of being on the Swan, just after saying yes to the residency! 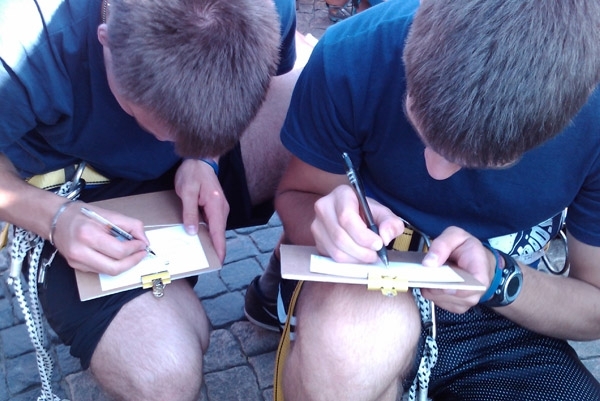 Working as crew: the Tall Ships Race is all about working as a team! Parade of sail: Each time the boats (sometimes up to 70 in total) left the ports there was an real air to the experience, film like! 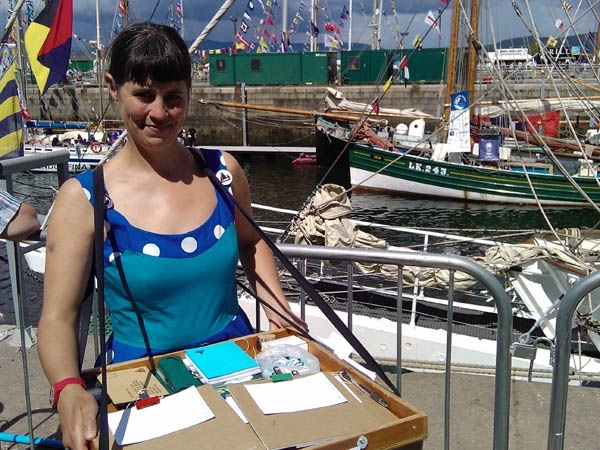 Blue Ploka Dot Dress: Exhausted from the sail, collecting drawings of boats wasn't an easy task, but it was rewarding speaking to the public and getting people involved in the project! 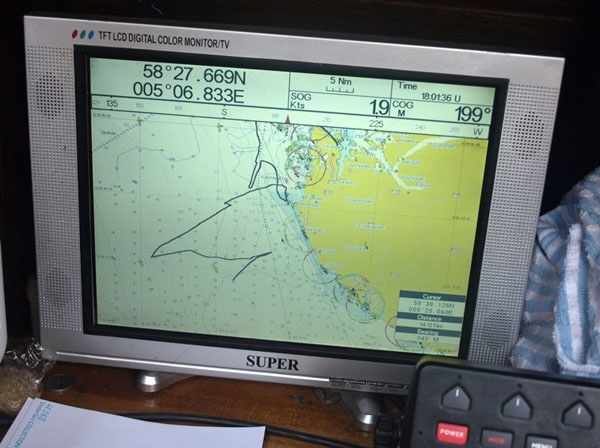 Using the SATNAV: The reason why it took us 5 nights to get to Halmstad from Stavanger was the lack of wind, wind in the wrong direction and strong northerly currents. We literally went around in circles. A very good example of being becalmed! 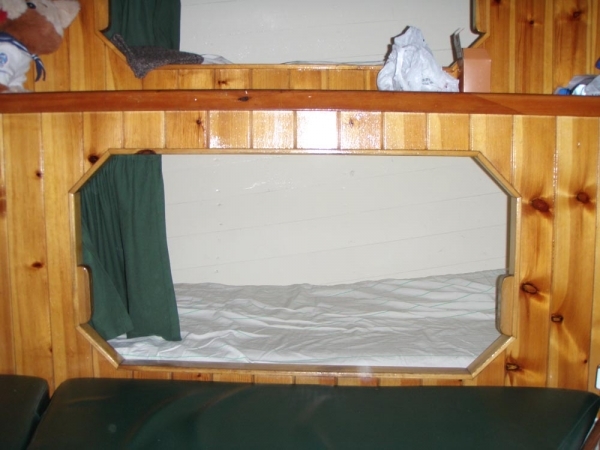 Small Spaces: the bunk I occupied for the duration of the voyage. it was cosy, and usually very messy, not like this image! 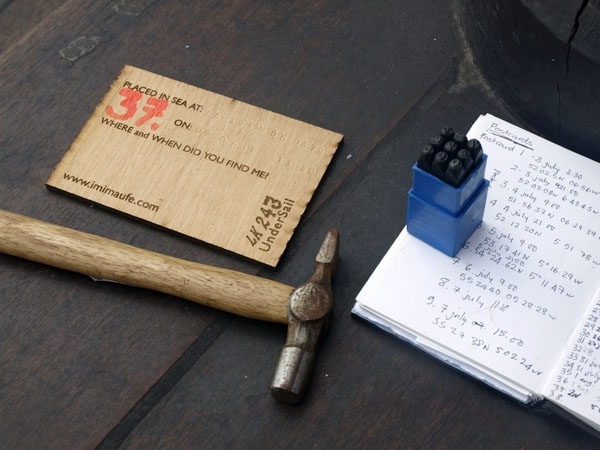 The useful hammer: Stamping the wooden SEA POSTCARDS with coordinates of the place they were cast into the sea. Trying to do the hammering where sleeping crew wouldn't get woken up down below, as people were often asleep at all hours of the day. SEA POSTCARD 40: Number 40 in the most important part of being on watch! disaster struck when someone lost the lid! Imi working on deck: Finding the time to work was not easy, between sleeping, being on watch, fishing (unsucessfully mostly) and constantly surrounded by other people! Making notes of where and when each postcard was thrown over board!. 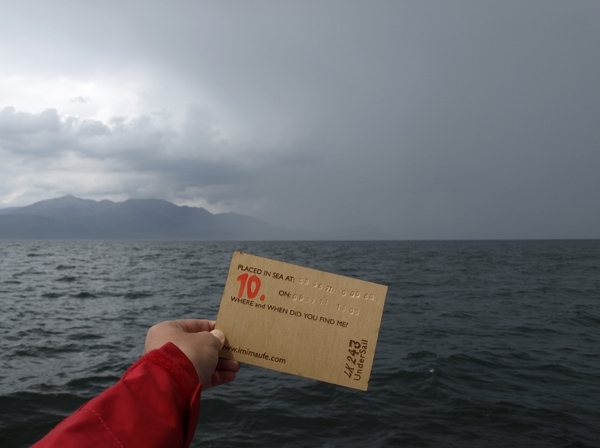 SEA POSTCARD 10: A good soaking just as we were sailing up the Clyde into Greenock. SEA POSTCARDS returned: 4 of the returned postcards were found between Campbeltown, Mull of Kintyre and Stornoway, Isle of Lewis. LK243 Collection of Boats: The blue dress and ushers tray became part of the Crew Parade in Halmstad, collecting drawings from sailors from other boats! 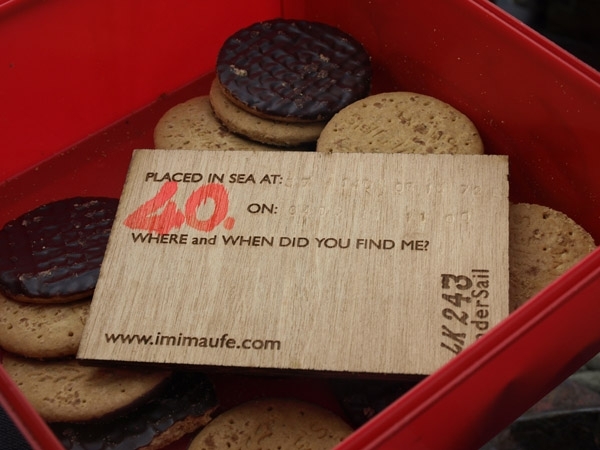 At the end of the Tall Ships 500 postcards had been collected. Display showing the two example curtains. All Ships! Tall Ships! 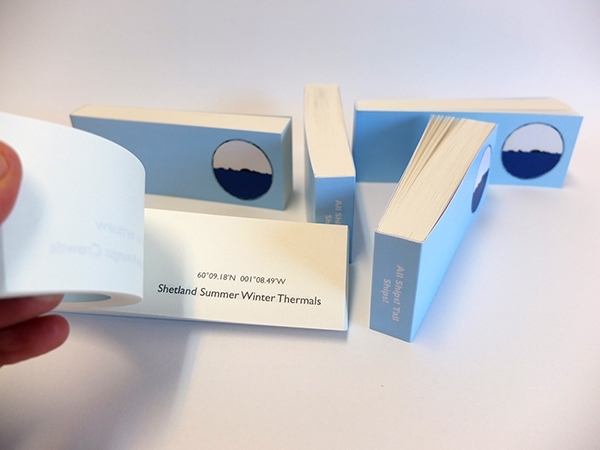 : Editioned artist's book - with 120 four word sentences documenting the voyage. 13 x 60 x 2cm, digitally printed.